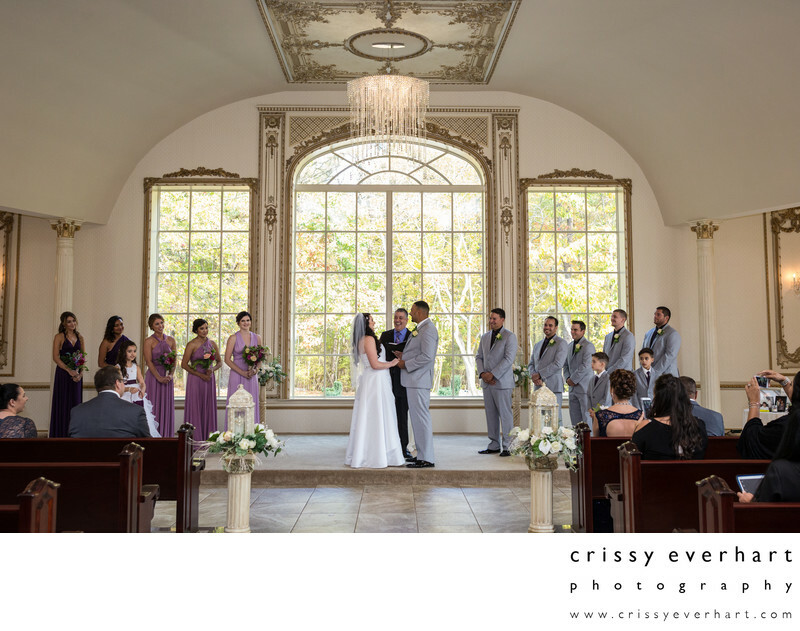 Brigalias in New Jersey is a unique wedding venue in that it has its very own chapel! It is simple and spacious with large windows that open up to tons of trees. In this image the couple is laughing at something that happened during the ceremony, their wedding party and guests also smile.